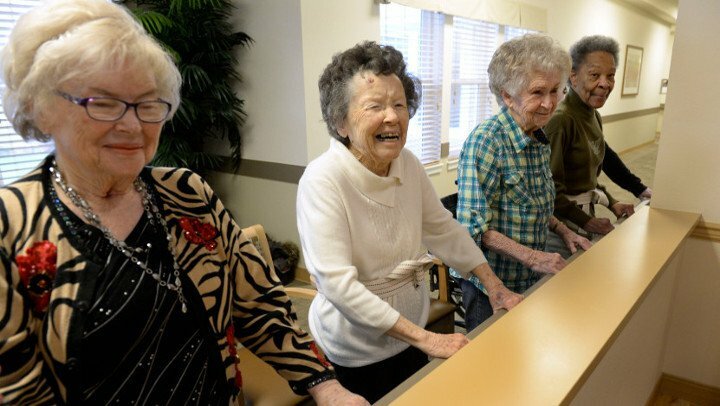 And, as it turns out, Sandra is, indeed, a classically trained ballerina and modern dancer, according to Jenni Dill, Life Engagement Director for Chelsea Place Memory Care. After college, Sandra even joined a dance troupe in New York. It was there that she met her husband, in a touring company of Broadway musical “Annie Get Your Gun.” What a great story! The truth is that there are many residents in memory care communities who, like Sandra, have rich, vibrant past lives that, in too many cases, go untapped. That may be because there is an ongoing perception that those struggling with Alzheimer’s disease or other forms of dementia have lost the ability to remember anything at all. Yet, the more we learn about Alzheimer’s and dementia, the more we are finding that many individuals with these disabilities can, in fact, be re-connected to things they enjoyed doing in the past. Kudos to the entire team at Chelsea Place and their dedication to treating each resident as the unique individuals they are. By continuing to tap into each individual’s passions and talents from their past, they are able to help residents and their families better connect to each other and spend happier moments together. You can learn more about the programs and the people at Chelsea Place Memory care here. Or, visit Anthem Memory Care’s community pages to find a community near you.